Entrants Limit Pending Timeout: You can select the minutes you would like for the entrant to complete the form. From 1 - 30 minutes. The Confirmation is the message that displays once an entrant has finished their entry. This message displays underneath the entrant's receipt number. The Waiver is the Terms & Conditions that are associated with entry to the event. The Title is what you call the Waiver, eg Terms and Conditions, Entrant Declaration. You should then insert the waiver, and complete the Confirmation message. This is the statement that the entrant declares, and should be something like, 'I have read and agree to be bound by the above Terms and Conditions'. The Invoice is the additional information that you would like included on the email receipt that is sent to entrants. Use the editor to change colours and fonts, as well as add images and links to sponsor information as required. The Attachment allows event organisers to create an additional document that is attached to the receipt as a PDF. 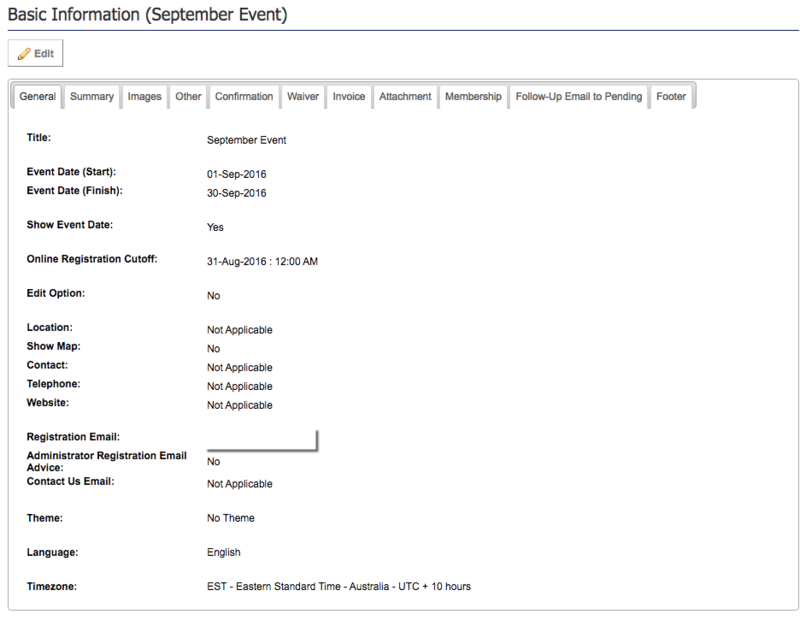 This can be used for e-ticket purposes or to outline event information to entrants. Again, use the editor to add images, sponsor information and create a document that is branded to your event. The Membership tab allows organisations who are also using the SportsTG Member Database to link their event to their members. Use Member Login Available and Member Login Required to allow your members to use their current Username and Password to login and register for the event, and Allow Entry to open your event up to members who also sit within your State or National body.